Something Delightful : Tropical Vibes + $200 Nordstrom Gift Card Giveaway!! Tropical Vibes + $200 Nordstrom Gift Card Giveaway!! Happy Tuesday! Today's post is a very exciting one, because if you scroll down, you'll see that I'm giving away $200 to Nordstrom in honor of Mother's Day! But first, here's a little bit about the look. If y'all can't tell, I think I'm having some beach fever with these tropical vibes in today's post. I mean how could I not in these palm print sandals?! I have already begun to plan outfits around them for our upcoming beach trip. I had purchased this little palm print dress for Madeline a few weeks back, and when my shoes came in, I immediately thought of the cutest coordinating looks. Something else y'all may have noticed around here recently is that I have developed a love for midi dresses. I feel like I style just about one on here every week. But I absolutely adore the easy breezy feel to them. This flouncy one definitely deserves some attention, if you ask me. It has the prettiest ruffle hem details and the fabric is amazing! It's under $60 and comes in black also. Now on to the giveaway details. If you asked me what is my absolute favorite part of life, my answer would without a doubt be the fact that I get to be Madeline's Mama. Motherhood is the hardest, most amazing, most difficult, most rewarding, happiest thing one can ever experience. I mean seriously, it involves just about every single emotion that I could possibly think of. It has taught me so much, but overall, it has taught me to be a better person. Everything I do is for my daughter. Even though things haven't been easy at times, the joy I have experienced from raising and watching my sweet girl grow overpowers every single bit of the trying moments. Even though I hear it 100+ times a day, I still get this warm feeling in my heart by hearing her squeaky little voice say "Mama." It is a gift unlike any other, and I'm so thankful that the Lord chose me to be the mama to my precious girl. I know all of you mamas can relate to these feelings. Since it's the week of Mother's Day, I couldn't think of a better time to say a huge "thank you" to all of you. When I became a mama, my life (and in turn, my blog) underwent some major changes. I could never begin to express my gratitude to those of you who continue to follow me through the ways that my life has evolved on this amazing journey of motherhood. AND I couldn't begin to express just how grateful I am to all of the mamas who follow me and have given me sound, motherly advice throughout this journey. There's just a special connection that you make with mamas...even though we are completely different people raising completely different babies, we get each other! It's like we have an instant connection haha. It truly is an amazing thing when moms support each other. Anyways, as my way of saying thank you, I'm giving away $200 to my favorite store, Nordstrom. Sometimes at the end of the way before I go to bed, I find it so relaxing to browse the new arrivals on Nordstrom. I find SO many great things on there (as y'all know if you see my outfit posts), whether it's for me or Madeline. Thanks for stopping by! P.S. Don't forget to check out the Mother's Day event I'm hosting this Saturday! I LOVE this look! Might be in the top ten of all the ones you've posted. It's effortless, but you still look awesome. Thanks for hosting such a great giveaway! My Mom is the most selfless, generous, and loving woman I know. I am a triplet and my Mom has always put our family before herself. She truly deserves all the love in the world. Amazing giveaway! Happy Earth Mother's Day Rachel! What a lovely, fresh and summery look! What a sweet giveaway! Yes, to the Mama connection! My little man is 17 months and I feel every word of what you say about your experience with Motherhood. Love your blog and I'm a fellow petite so I especially love that you are petite, too! I love your blog. I grew up in Aiken, SC and worked at Pitter Patter through high school and college. Thanks for the giveaway! I'd take my mama shopping. I would love to treat my mom! She is so selfless and constantly takes the time to give of herself. She has invested so much in to my life & I want to show her how much that has meant to me by treating her. I am not yet a mom but that is one of my biggest dreams and I hope to be just like her! I would like it for me. I love Nordstrom, and haven't been there for a while, I want to see their shoes, I love their selection. I know they won't fall apart after a few months, either! I entered myself, so I get some cut outfits for my little nieces! Always love your post Rachel! Love how upbeat and positive you always seem to be! Hope you have a great Mothers Day!!!! I am entering this giveaway for my mom and myself! She's my rock and her support makes grad school more bearable! Love your sandals, so exotic! I'm entering for my 18 year old daughter. She loves Nordstrom and would love a chance to buy some new clothes and a cute pair of shoes. Thank you for the chance to win! I am the mama to three boys who are growing way too fast! I would share the gift card with my mama so that we could have a mother daughter shopping day! I would give this to my mom. She does so much for me every single day I could never thank her enough. For 24+ years she has put my sister and I before herself and I would love to give her this gift card so she can treat herself for the first time in a long time! Entering this to actually get my mom something nice for Mother's Day! Hard to get her something to show her how much you love her on a college budget! My mama is the most kind hearted, giving woman in the world and I would love to be able to spoil her with this like she does me! Happy mothers Day to you!! Your little one is just the cutest. Your little one is just the cutest! I'd love to win this to spoil my momma like she does me! My name is Toni and I'm entering for my mom. Her dedication to her family knows no bounds and she deserves everything even if we can only give her a little! This is such a great giveaway! My mom passed away a few years back, but my best friend's mom (who was also my Mom's bff!) has completely been a second mother to me and taken me in as her own. She considers me her daughter, and I would love to be able to get her a gift that's worthy of her and everything she does for me! Happy almost mother's day! I just think it's so lovely what a dearly devoted mom you are to Madeline. It's truly palpable how having here truly shifted your priorities to her and raising her right. So admirable and the way it should be! I've loved reading your blog and seeing you embrace being a mama has been inspiring and just lovely!!! Makes the heart full! My Mom has always been so supportive and is just the best listener. She's been through a lot and she deserves something like this. I am entering for me and my daughter! We love shopping at Nordstrom and I love your outfit! I would absolutely give the gift card to my Mama! She's so selfless and has had a rough time the last few years! Aside from personal things growing up, she lost her brother (and best friend) to cancer last year and now her sister was diagnosed with cancer. It's been such a rough time for her and yet she goes above and beyond for everyone else to make sure they're happy! She's the best and totally deserves this! Hello! Selfishly, i'm entering myself! :) As a mama, I tend to buy first for my baby, second for my husband, and lastly for myself! I've got my eye on a bathing suit or two from the website anyway! :) Thanks for the awesome giveaway! I would love to win the giveaway. Since having my daughter it's been hard to find time for just myself and this would be a good way to treat myself! Love following you. I would love to be able to treat myself to a Nordstrom shopping spree! I absolutely LOVE this look! It's simple and chic and even perfect for breastfeeding mamas! What you said about becoming a mama is so true; it's the most rewarding, difficult and beautiful experience of my life. There's truly nothing like it! Thank you for your blog, I love seeing your style and your beautiful little! I'm entering for myself to get some new clothes. I am entering for my wonderful mother who was a single mother since I was in 5th grade, she is a hard worker, a teacher and a great stepmom also. I am entering for myself, to buy new clothes for summer. 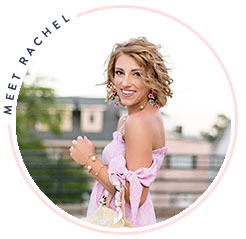 I absolutely adore this giveaway, Rachel!! I always get so emotional thinking about how much my wonderful mom has given up in order for me to live my dream. She is the most selfless, giving, and hilarious person I know, and she deserves the whole world! You mommas work so hard! Happy Mother's Day! Love this giveaway!! I, too have a precious little Madeline!! She is my everything and is the biggest blessing I could ever have in my life!! I am so thankful everyday to be her mama and she is just so much fun!! I am entering this giveaway for my mom, because she is my best friend and the absolute best grandmama I could have ever hoped for!! Love this giveaway!! I, too have a precious little Madeline!! She is my everything!! I am so blessed that she is mine and I am so thankful to be her mama!! She is the most fun and I love her to pieces!! I am entering this giveaway for my wonderful mom, who is my best friend and the best grandmama I could have ever hoped for!! I'm Kelsey and I'm entering so me and my mom can go shopping together! We're both teachers and we love to spend time together outside our classrooms and talk about school, love, and life! :) My mom is the hardest working mom and now grandmother I know. I love her so much! I love this giveaway so much! My Mama and I butted heads a lot growing up, but now that I've moved out and am married we have become such best friends. She's my confidant, my biggest cheerleader, the one who always has good advice...just my best friend. She always puts others ahead of herself and never treats herself to shopping trips, so this gift card would be just for her! I would love to win this giveaway to buy my mom something from her favorite brand perfume brand, Jo Malone, at Nordstrom! And I would also treat myself to some new leggings that I am loving right now at Nordstrom since I am getting back into working out!! What a fantastic giveaway! I have three amazing children who have taught me more than I ever thought they could. My son, has autism, and has been the most amazing teacher and inspired me to pursue a career in special education. My girls are absolutely amazing with him and I couldn't be prouder. While this journey was one that we weren't expecting to be one, we wouldn't change it for the world because it has made our whole family stronger! I would love to have this gift card to treat myself to some new clothes, ones that I can wear in the classroom and maybe out on a date (rare occasion). Thank you so much! Such a fun giveaway! I would love to use this gift card to go shopping with my mom. She deserves a fun night out. Not sure. I would love to see if I could find a nice handbag for myself or some pretty tops for my mom. Happy Mother's Day all! My mama loves Nordstrom's so this would be perfect for her! I would love to win and share this with my mom! We usually go shopping together so it would be fun to celebrate mother's day with a shopping trip! I would love to buy my mom some shoes she's had her eye on! She works so hard and has been under a lot of stress lately so I know it would make her smile! Hope this doesn't sound selfish, but since my dear mom passed away, I am entering for myself. I need some pretty in my life. I am entering for myself. 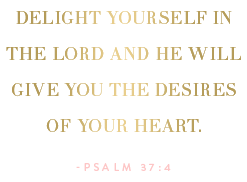 A gift card for new clothes would be wonderful to win. Thank you so much for the opportunity. I am entering for myself, although I might share it with my daughter! I'd love to have a shopping day with my mom and let her buy some new clothes! I am a mother or a wonderful little eight month old and we are having such fun together, would love to win since my wardrobe could really use a revamp, and I would love to look for some cute picks for my little one also! Love the mommy & mini me pics! I frequently do the same with my 5 year old girls! I'd love to win this giveaway! As a mom to 5 year old triplets, I'm constantly shopping some older favorites in my own closet so I can beautifully wardrobe them. Would love to capitalize on some of the fabulous classics that have re-trended themselves! Happy Mother's Day!!! I grew up in NY and my parents are still there.. ( I moved to Green Bay Wisconsin) about 3 years ago. I miss my parents and am entering because I know my mom would love to go shopping .. I am entering for my dear mama! I entered for my boys. I always worry about school clothes and winning this would help me get a start on things they'll need. Thanks bunches for the chance! Love this look on you! Not everyone can pull off a hat, but you look so pretty! I would love to win this giveaway to update my wardrobe. I'm a stay at home gram and don't get to do that often. Well, maybe I could if I didn't spend it all on the little guy :) Happy Mother's Day! Honestly, myself and my kids ~ being a single mom with three kids I am in need of some new work clothes and they will need new underwear and socks going into the next school year. I would love to win this for my mom! She has done so much for me and I want to thank her for always encouraging me throughout life. So adorable!!!! I'd want to my mum to use it for a new wardrobe! She never spends anything on herself but always on her kids! I am entering this giveaway for myself as well as for my daughter and granddaughter. My mom and I live in different states so it would be amazing to shop together the next time we see each other! I'm entering this contest for my mother. Just recently, my father had a kidney transplant and she has given up everything to take care of him. Going back and forth between Aiken, SC to Atlanta, Ga for weekly doctors visits and much more. She is the most selfless person and doesn't expect anything in return. The last two months have been very stressful for her due to this and having to handle everything else in our house. She really deserves this!! Happy Mother's Day to you Rachel! I would love to be able to surprise my wonderful mother in law with a nice gift!! Would love to win this wonderful gift for myself! I buy things for my kids all the time but I never really buy anything new for myself anymore! This would be a great blessing! Thank you for the opportunity!